When it comes to car accidents, there are many different types including T-bone accidents, rear-end accidents, rollover accidents, single vehicle accidents and hit & run accidents. Every type of auto accident puts drivers and passengers at high risk of injury or even death, but none are typically as dangerous as head-on collisions. Due to the nature of these accidents, the injury and fatality rate is much higher and they have a tendency to have long-term effects of people's lives. If you or someone you know has been injured in a head-on collision, then don't delay. Contact us today for help in holding the negligent party responsible for the damages. Injured in a head-on collision in Walker County? Contact Warren & Associates, LLC as soon as possible and we will review your case for free! Although some head-on collisions involve drunk driving, the main cause for the accident is lane crossover. When someone veers out of their land into oncoming traffic, the consequences could be catastrophic. When the front ends of two cars collide, the momentum of both cars is going in opposing directions causing the cars to come to an abrupt stop. When the two objects collide there is no giving or absorption, rather the vehicles both feel the force of impact similar to hitting a brick wall. On the other hand, with rear-end accidents the momentum of the cars are going in the same direction. Whether you have sustained minor injuries or more severe, life-threatening injuries, we are here to fight for the full compensation that you are legally entitled to. We know how to deal with insurance companies and we can work to negotiate a fair settlement so that you don't get less than you deserve. At Warren & Associates, LLC we are proud of our past case victories and we have a successful track record under our belt. With over 23 years of legal experience we have handled countless car accident and injuries cases and we are here to guide you every step of the way. 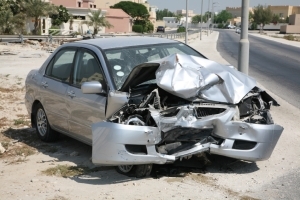 Our firm takes on all types of car accident cases and we can help you in proving fault and establishing liability. We proudly serve clients in Jasper, Cordova, Sumiton, Carbon Hill and Walker County. Contact us today for a free case evaluation by calling (205) 221-1044.